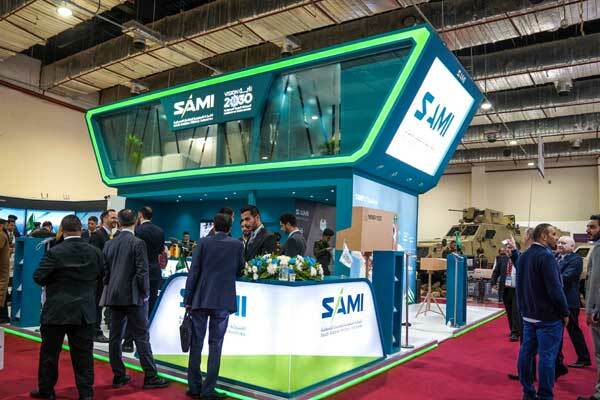 The Saudi Arabian Military Industries (Sami) recently reinforced its partnership with the Egyptian military industries sector through its participation at the Egypt Defense Expo (Edex) 2018, which concluded in Cairo, Egypt, yesterday (December 5). The three-day event was held under the patronage of Abdel Fattah Al Sisi, President of Egypt. More than 350 companies specialising in military industries and supportive sectors, from 41 countries around the globe, joined the exhibition which was held at the Egyptian International Exhibition Center. Edex was inaugurated by the Egyptian President in the presence of a number of dignitaries, officials from the Egyptian armed forces, military attachés, and media representatives. While touring the exhibition, President Al Sisi paid a special visit to Sami’s stand where he was briefed about the company’s current plans to localise 50 per cent of Saudi Arabia’s military spending, as well as the various achievements and superior military services delivered throughout the company’s four specialised business divisions Egyptian President expressed his esteem for the renaissance witnessed in the Saudi military industries. “The exhibition is a unique opportunity to keep abreast of the latest developments of the world’s leading companies in the field of armament, defence, and military industries,” he said. “Sami’s participation in Edex is aimed at reinforcing the partnership with the Egyptian military industries sector, a key pillar in supporting the Egyptian economy. The recently signed Sami-Navantia joint venture will enhance local capabilities in the naval field and further explore new opportunities such as the cooperation on the corvettes and patrol boats programs for the Egyptian Naval Forces,” he added. “Fully backed by the Saudi government, the joint venture intends to formally participate in those tenders with a regional content of more than 60 per cent of the total contract volume,” he said. “We will use our participation in Edex to boost our strategy of exporting our military products and services to allied countries. It is our target to become one of the world’s top 25 defence companies by 2030,” he added. Sami’s stand at Edex also featured an exhibition of Navantis, an advanced training integrated system, and one of the product lines to be developed by the Sami-Navantia joint venture based on Navantia’s expertise.